For over 30 years, L'Abeille Occitane has been producing artisan mono floral honeys in the heart of Provence, France. The flavor of this exquisite pure lavender honey is attributed to the bees feeding predominantly on wild lavender. It makes a perfect accompaniment and is beautiful on a pork roast, drizzled over grilled peaches, or warmed and served over homemade vanilla ice cream. 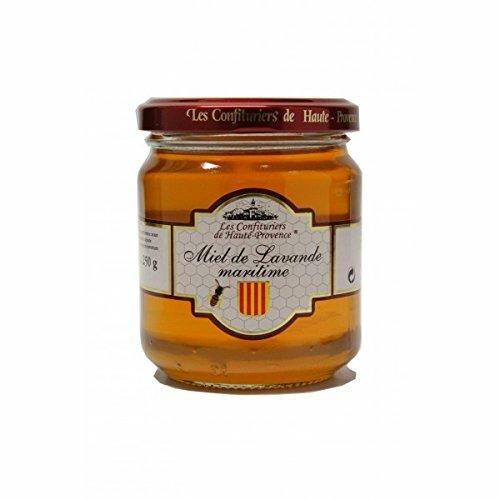 Les Confituriers de Hautes-Provence – Lavender Honey 8.5 oz. 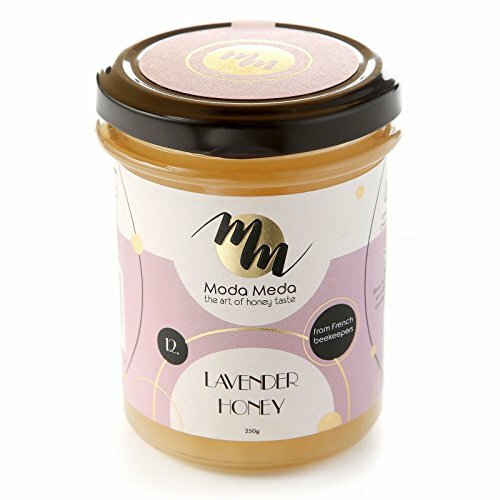 / 250 g.
This maritime lavender honey, gilded in color, has a strong aromatic and slightly tangy flavor that reflects all the character of this Mediterranean flower. 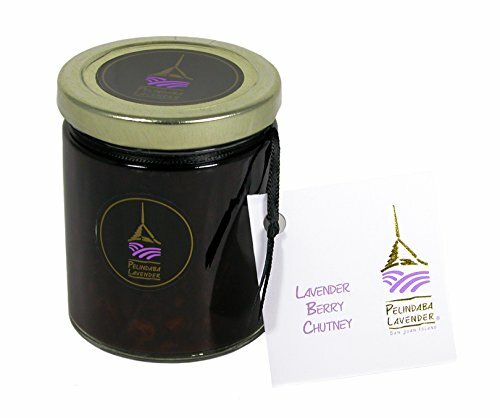 Pelindaba's Lavender Berry Chutney combines a wide variety of Oregon grown berries, blended with flavors of the East and our own organic Culinary Lavender. Especially delicious with fresh salmon - in addition to its traditional use as a condiment to enhance Indian and other spicy dishes. Pairs wonderfully our Lavender Peach Chutney and Lavender Stone Ground Honey Mustard as a thoughtful gift for the adventureous gourmet. 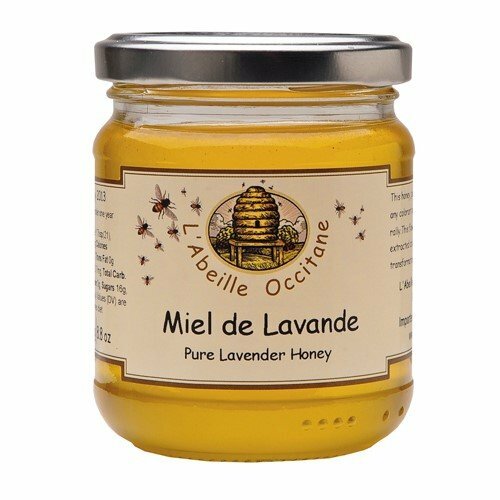 l'Abeille Occitane "Boules Fourrees Miel" Lavender Honey Drops - 7.05 oz. A true gourmet taste experience. These delectable hard candies harken from Provence, France, where they're made according to a centuries-old cooking tradition - right down to simmering in a classic copper cauldron. 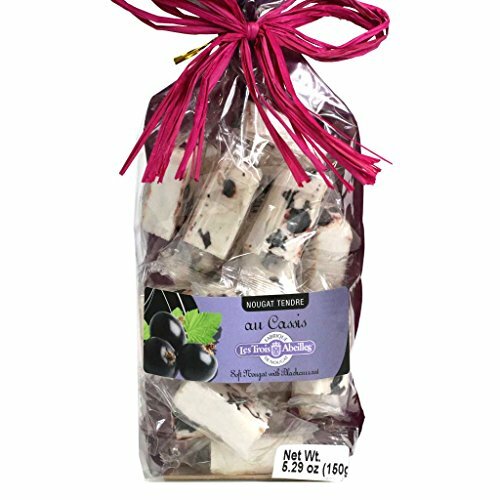 Each mouth-watering candy "pearl" has a powdered hard candy shell surrounding a liquid center of Provence lavender honey - creating a taste sensation both sweet and aromatic. A delicious treat as well as a comforting way to soothe a sore throat. Indulge yourself a bit or delight the most discerning palates on your gift list. 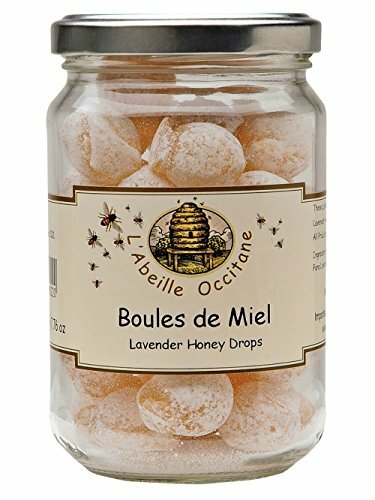 l'Abeille Occitane "Boules Fourrees Miel" Lavender Honey Drops - 7.05 oz. Bernard Michaud brings all the wonderful richness of France's great traditional local mono-floral honeys into your home. 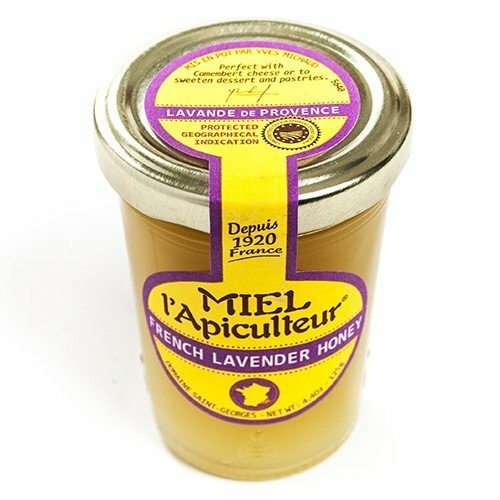 This Provencal Lavender Honey from Bernard Michaud possesses a light flavor and is best paired with Camembert, Brie or any other creamy cheese. The bees that create this delicious honey frequent a lavender field and naturally pass on this delicate flavor. Use this honey to sweeten your tea or coffee, liven up your morning toast, or to rejuvenate your next batch of lavender cookies! Nougat de Provence is created in the traditional way that was first trademarked in Provence, France in the year 1740. 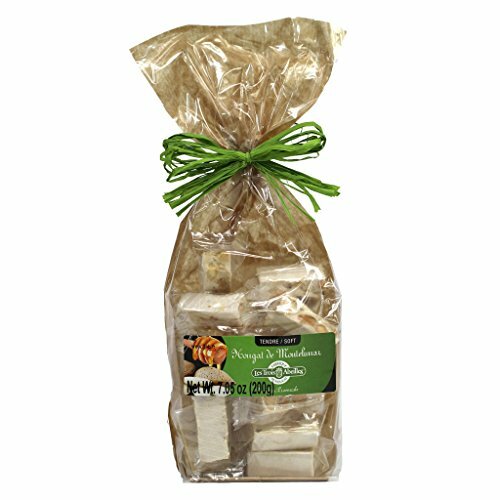 Imported from France, White Provence nougat is soft and chewy and includes all natural ingredients of almonds, Provence lavender honey, pistachios and natural vanilla. Net Weight: 200 grams. It all started with a nougat recipe in 1946, in a little town named Montelimar. It wasn't always the world's nougat capital of course. But three men named Amblard, Aurelle and Cheval have helped make it so. These three men (hence the name of "the three bees") decided to promote local products from Provence with a recipe that has remained unchanged ever since. 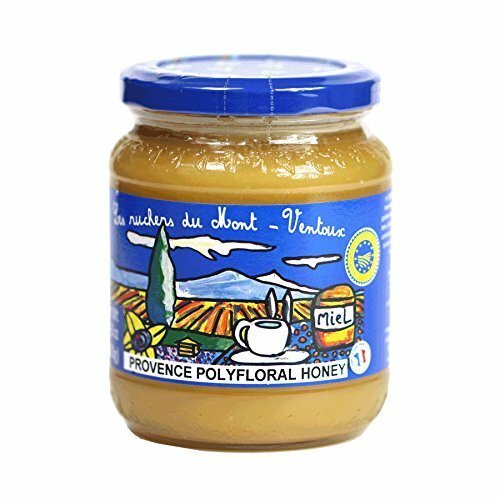 Known for its complex floral flavor and creamy amber color, the Polyfloral Honey is a combination of different nectars gathered by the French bees from the Provencal flora growing under the warm Mediterranean sun. Copyright © Wholesalion.com 2019 - The Best Prices On Provence Lavender Honey Online.